Caution: This entire summary is a spoiler! Captain Marvel was a fun, energetic adventure of a movie. Brie Larson was the main character as Carol Danvers/ Captain Marvel and Veers. She was a human, but after a traumatic plane crash, she was given Kree blood and Kree powers. After a failed sneak attack against their enemies the Skrull, Captain Marvel takes a escape pod to Earth. She crashlands on a Blockbuster and meets Nick Fury and his crew. The Skrull follows her to Earth and tries to hunt them down. Captain Marvel contacts her crew and tries to get back up to help her. Captain Marvel and the Skrull have a fight on the train and that’s when the movie starts to pick up the pace. Captain Marvel and Nick Fury go into the storage unit that held the plane that gave her the Kree powers. They are investigating the plane hanger, and Captain Marvel finds out about her past as a human. Agents of Shield come into the hanger. Captain Marvel and Nick Fury figure out that they actually Skrull and they are there to kill them. They escape and go to her best friends house, Maria Rambeau. At her house, they are taken care of and kind of protected from the Skrull. Ironically, The leader of the Skrull and some of his men break into the house and talk to Nick Fury and Captain Marvel and try to persuade them into helping them. They play them a clip of Captain Marvel’s past as a human. After a few scenes later, in a Skrull spacecraft, they see refuges and save them. Then, they find the TESSERACT and bring it back to earth. They save the refugees and all Tesseract. Overall, I would give this movie a 8/10. 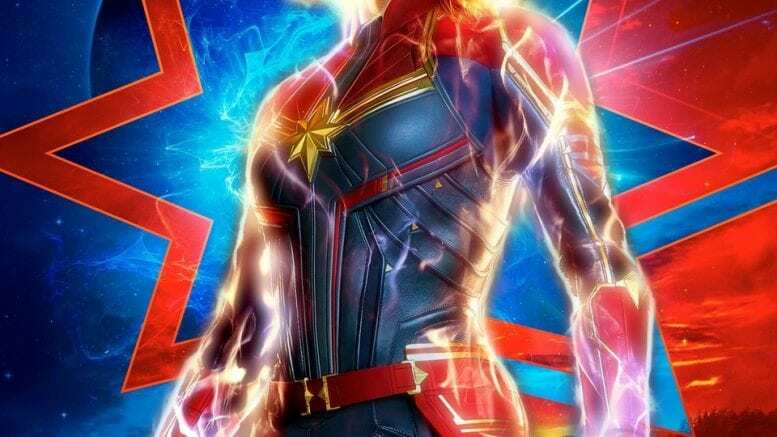 Be the first to comment on "Spoiler Filled Captain Marvel, The New Frontier For The MCU"